With the start of a new school year nearly upon us, one thing we all need to think about is labelling our children’s school uniform. It’s one thing I dread and tend to leave to the last minute so finding easier and simpler ways of doing things is always handy. For the first two year’s of Miss M’s time at school I have spent a lot of time using sew on tags so was keen to try something new and that’s were Nametags4u came in. They sell a variety of different labels from stick on, to sew on and the one I was keen to try, Easyfix Clip. 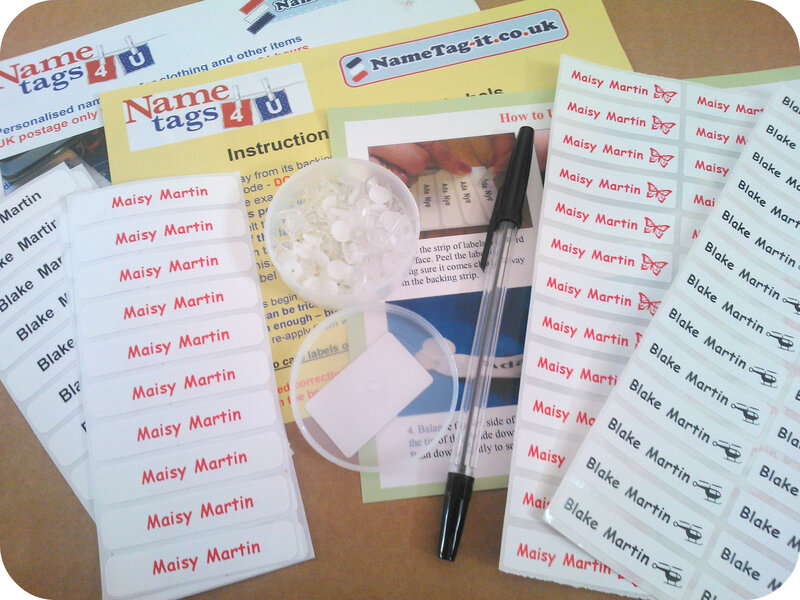 I received a selection of Nametags4u stick on labels and Easyfix Clip on labels. The stick on labels are well made and perfect for things like books, pencil cases, lunchboxes etc. I tried these on drinks bottle and a lunch box and they were simple to apply and looked good. I like that you can choose a little picture logo to go alongside the name, I chose a butterfly for Miss M and a helicopter for Mister B. You can also choose from various colours for the names to be printed in. 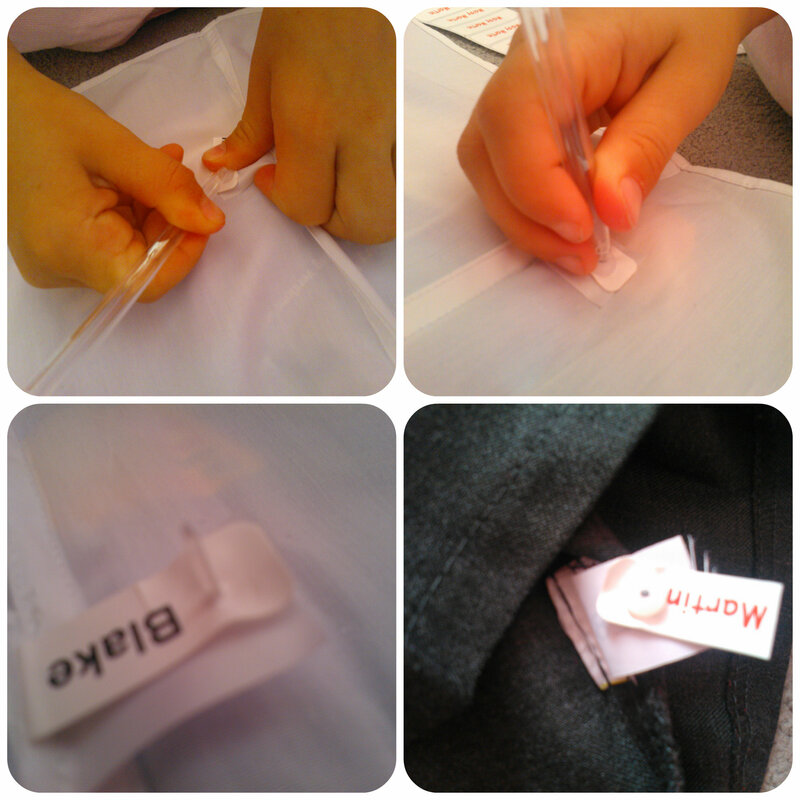 The Easyfix Clip system comes with thin fabric labels that you fold in half and place on to the item of clothing. You then place a plastic pin underneath and press the clothing and label over the top to pierce a hole through which the pin comes. Then press a flat plastic cap over the pin against the label. Then using the tube of a biro pen (included in the label pack), you place this over the pin and bend to the side to snap off the outstanding bit of the pin to reveal a flat surface. A clever little idea that does make labelling quicker than the sew on method and probably a little more durable than an iron on label. I preferred to secure the Easyfix clips through the clothing label inside the uniform rather than the fabric itself but that was my personal choice. I found the Easyfix Clips easy to use and once I’d done the first few, could quickly add labels to items of uniform ready for September. The quality of the labels and clips seem good and durable and have certainly made my life easier this year when it comes to naming the school uniform. Why not check out Nametags4u? They really do have a good range of types of labels as well as a bit of personalisation with the colour and logo. Something for everyone! All reviews are my own and my family’s opinions and some Nametags4u labels were sent to us in order to write the review. 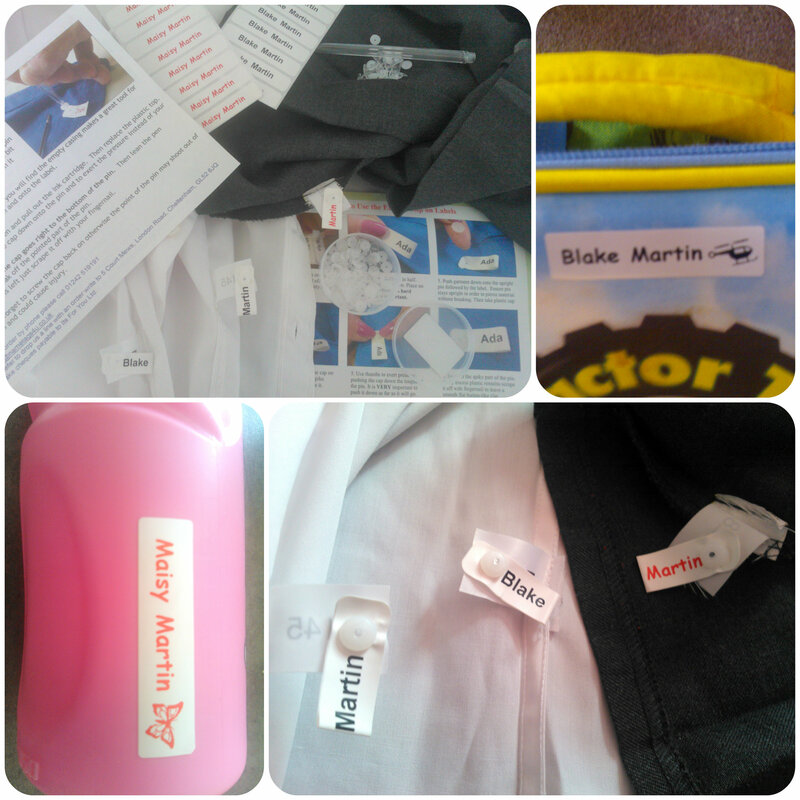 This entry was posted in Reviews and tagged easy fix, name tags, nametags4u, school uniform, stick on by Fiona Martin. Bookmark the permalink. I just write their names on stuff in permanent marker LOL! These do look great and easy to put on. They look great! I’m always looking for easy ways to name Little Mr A’s uniform – will have to have a look into these.